It was a month ago that I did a Blockchain and IoT workshop with over 65 Aviation executives at the IAFS Planning Summit in Denver. In that workshop, I discussed Blockchain and IoT applications in the Aviation Industry. 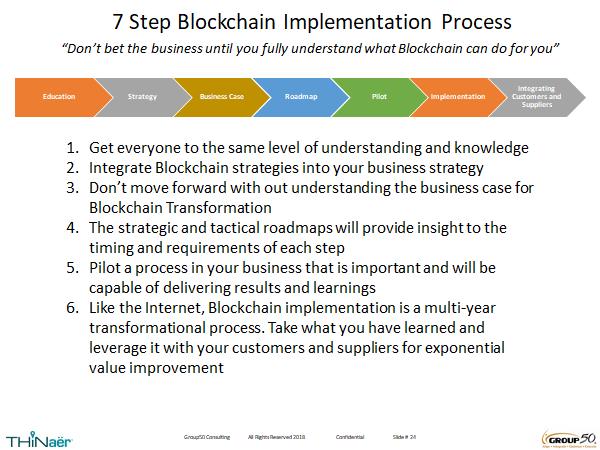 I did an informal pole and found that the average understanding of Blockchain and IoT amongst executives is 2-3 on a scale of 1-10. Blockchain and IoT are in their nascent states and more so as a combined technology. Every executive we spoke with acknowledged that there was some level of discussion in their company and most companies are trying to decide if Blockchain and IoT technologies apply to their business. 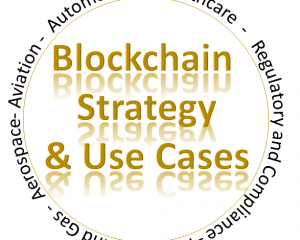 Most believe they do, but due to a lack of understanding of this technology powerhouse, they are struggling with how the company would go about identifying use cases, planning for them and implementing Blockchain as the next disruptive technology. They admit they need a Blockchain and IoT strategy! The life cycle of flight safety parts: Serial Numbers, Ownership, Remanufacturing specifications, tolerances, Quality standards, maintenance records, etc. Location of equipment such as tow bars, tow trucks, baggage trailers, service vehicles, etc. Most of the above use cases have someone working on them now. 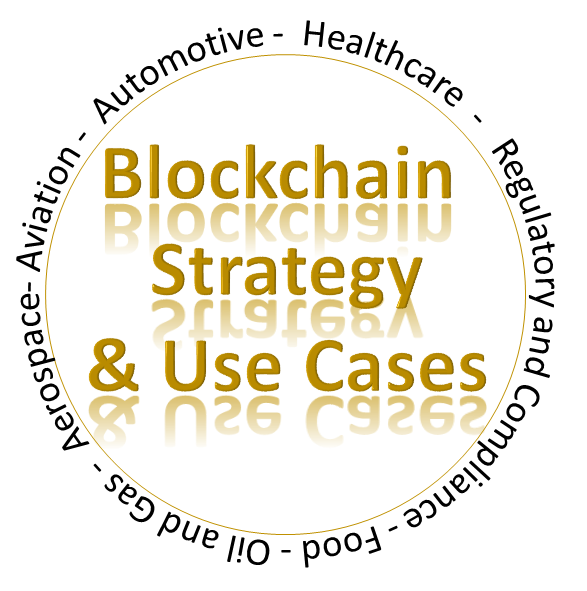 We have prepared use case summaries for the Aviation, Food, Automotive, Aerospace, Healthcare and Regulatory industries. Across all industries, we find the same result: Lot’s of investigation, some pilot projects and little strategic understanding. As part of our process, we have created workshops for the first four steps. Just like the Internet in 1995, Blockchain and IoT solutions, such as Scioebc™ which is built on top of Thinaër’s IoT platform, have transformative capabilities, but their implementation needs to be well thought through and the significant cost reductions they bring to a company will occur over several years. It will take time to rebuild the lost trust in centralized third parties and allow a distributed ledger to displace the 20-30% of overhead cost that is spent on verification and validation. to find out how we can help you develop a Blockchain and IoT strategy in your business, call Group50 at (909) 949-9083, drop us a line at Blockchain@group50.com or request more information here. Group50 Consulting, founded in 2004, works with middle market companies to leverage their investments in people, process and technology to significantly improve the efficiency and cost performance of their supply chains. Already subject matter experts in global supply chain consulting, Group50 has added Scioebc™, a supply chain focused Blockchain solution powered by Thinaër, an IoT platform to its portfolio of goods and services. Group50 works with their clients in developing and implementing transformational strategies across their business. More information about the company can be found at www.Group50.com/blockchain. Thinaër was founded in 2016 to provide the world with an easy and affordable way to track people, places and things. The Thinaër IoT platform leverages Bluetooth technology to generate new and unique actionable data at a fraction of the price of traditional solutions. Led by industry experts in healthcare, manufacturing and technology, Thinaër builds solutions that empower hospitals, manufacturers and enterprises to answer the most challenging questions never answered before. Thinaër is the first ever end-to-end solution to provide immediate ROI without disrupting existing workflows or overhauling existing systems. To learn more about Thinaër and The Internet of People, Places and Things, visit www.thinaer.io.